Home SKINCARE My Skincare Consultation with Jan Marini! About a week ago, I had the special opportunity to have a telephone interview with Jan Marini...famed skincare expert to the stars. 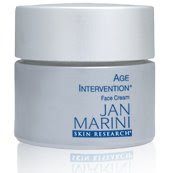 If you keep up with my blog, you'll know that Jan Marini products are a staple in my skin care regimen. 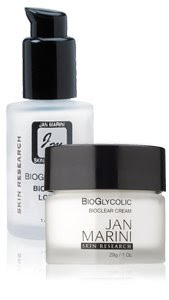 As a Beauty Blogger, I've strayed a few times trying out new products, but I've always gone back to my beloved Jan Marini products. I was delighted to receive a call from Jan herself. After just a few minutes of speaking we realized we had a lot in common. We're both two time users of Accutane (intense internal acne medication). However, we both discovered that our years on Accutane definitely weren't the end of our skin care woes. According to Jan, 80% of skin damage happens before we're 18 years old. It just takes years for the damage to begin to show. That showes you...start taking care of your skin young! It's all about preventative measures. Jan asked me about my current skincare regimen. I informed her of my use of both Jan Marini products as well as some other random products in my arsenal. Here's my typical daily process: Cleanse with JM BioGlycolic Cleanser, Tone with Witch Hazel, Cetaphil Cream Moisturizer, and JM Facial Sunblock in SPF30. After hearing me out, she informed me a few things. For one, the Bioglycolic Facial Cleanser is a multi-purpose product. For a previous review, click HERE. Not only does this product cleanse, and resurface the skin over time, but this cleanser actually gets into the hair follicle and exfoliates. There is no need for an additional toner or astringent after because the cleanser gets the job done. I had been using Witch Hazel as an astringent and had been doing more harm than benefit! Though Witch Hazel is not as drying as some, the formula was changing my PH levels so I wouldn't be as receptive to the rest of my skincare products. Needless to say, no more Witch Hazel or toner for me! This is actually great...saves me a step and endless cotton pads! 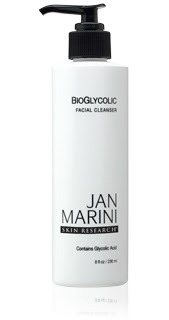 Bioglycolic Facial Cleanser: Morning and Night. You heard me rave about it in the previous paragraph. Check out a previous review HERE. C'Esta Serum - Morning and Night. This product combines Vitamin C and other essential factors to smooth and tighten skin over time. Jan Marini told me that this would "Lift and tighten up that skin". My skin just seems to soak up the vitamins and my skin does seem to feel a bit more taut. 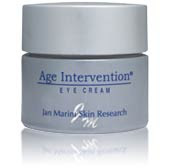 Age Intervention Eye Cream - Morning and Night. Ladies, please start using an eye cream now. This is the thinnest skin on our face and it's essential to protect it. Early use can prevent wrinkles and darkening of the skin later on. It's also really good to wear an eye cream before makeup so that your eyeshadow won't catch on any dry patches. This eye cream is a very lush, cream formula. I only need to dab my ring finger on top of the cream once and it's enough to cover both my undereyes and eyelid. This stuff will last you forever. Bioclear Lotion -Night only for the first week, then morning and night. This product is meant for dramatic resurfacing to clear up acne scars, textural issues. I have a bit of leftover acne scarring on my cheeks and temples. I'm banking on these to clear up these issues. With makeup, you may be able to cover up discoloration, but you'll never be able to hide textural issues. Bioclear will help even out any of these issues. Age Intervention Face Cream - Morning and Night. This is great for women 25 and older to start reversing the aging process by adjusting any hormonal imbalances and repairing any damage to make skin look younger and healthier. I had told Jan that my skin tends to get really dry, especially on my neck. This cream is just what I needed to quench my parched skin. Again, a little goes a long way. I dot it onto my forehead, cheeks, nose, chin and neck. Daily Face Protectant SPF 30 Waterproof -Morning. I love this sunscreen and have been wearing it religiously. It's amazing because it absorbs right in and doesn't leave your skin greasy. Check out a previous review HERE. 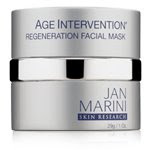 Age Intervention Regeneration Mask - Once a week. This is one of the few face masks with instant results. Check out a previous review HERE. 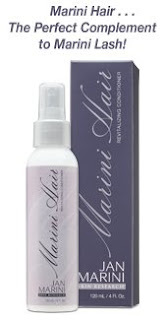 Marini Lash Conditioner -At nighttime. This helps recondition my itty bitty lashes. I've had a lot of eye problems lately due to allergies and what not, so it's hard for me to use this product regularly. But i'm jumping back on the band wagon...who doesn't like long, luscious, healthy lashes? 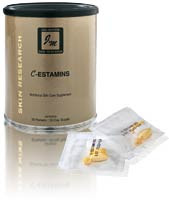 C-Estamins Oral Skin Care Supplement -Morning. These supplements are the key to overall skincare by providing you the nutrients your skin needs to keep it healthy. I haven't started taking these yet because I'm on a lot of other supplements, but I'm going to see how I can introduce it into my regimen. I've been using this products for about two weeks now, and so far so good! In the beginning some products felt like they stung my skin a little (Bioclear lotion and Bioglycolic Cleanser) but this fades over time. I've learned to avoid overly sensitive areas like my lips and close to my eyes. My skin looks radiant and my co-worker always thinks I'm wearing makeup but I'm not! I also feel confident that I'm saving my skin from future damage. I feel very fortunate to have a skincare regimen designed exactly for me. I want to stay looking 26 as long as possible! Thanks again Jan! 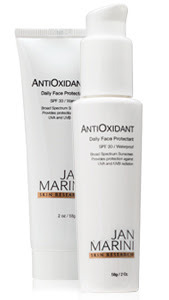 Check out these products at JanMarini.com representatives can direct you to make a purchase direct or via an authorized retailer. 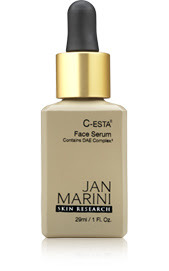 Stay tuned, I'll be featuring another Jan Marini product and hosting a giveaway! the return addy on my box was from san jose, CA which is like 20 minutes away from me. i was so excited to try that body scrub last night. it was amazing! Wow! How awesome! So true, skin damage does happen early when you don't pay attention and not care for it much..
taking care of the skin is so important! glad jan marini could help! can't wait to hear about the products!